Maybe DeAndre Jordan is having second thoughts about Dallas? Pressure bust pipes, and the L.A. Clippers are championship or bust at this point. After losing seven of nine games since starting 4-0, Dan Woike of the Orange County Register reports that media members outside the Clippers locker room could hear intense arguing going on inside. Doc Rivers tried to dismiss it, of course. Reporters heard some screaming coming from the locker room. 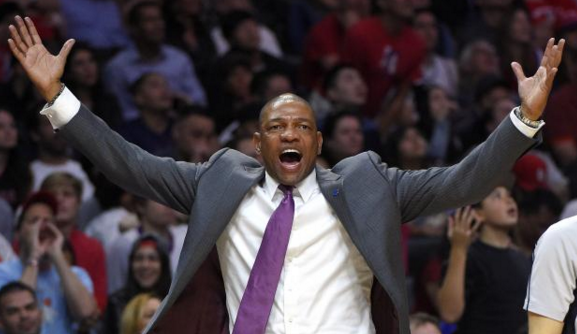 Said Doc Rivers: "It happens more than you think after games."